Finnish hard rock and modern metal blender chILL release their newest EP ‘Artificially Alive’ at 30th of July, 2015. 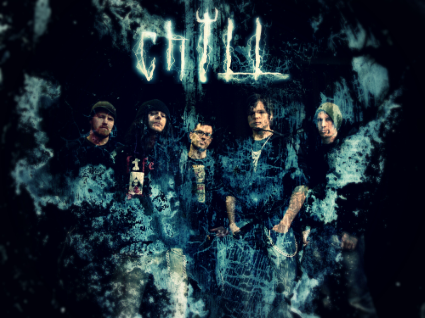 Finnish chILL blends catchy grunge driven rock and modern metal with a twist. Intense vocals and monster metal riffs mixed with plenty of catchy hooks, leads and melodies will leave you wanting more. With enough angst-driven melodies, and a heavy dose of riff-driven metal at its most intense, the new EP offers metal fans the chance to indulge in their dark side. Since forming in 1995, the band has toured and released EPs and singles along their own independent route towards their full album ‘Controlled Chaos’ released in 2008 by Twisted Entertainment and distributed worldwide. The band is now celebrating their 20th anniversary and ready to break a five year silence with an explosion by releasing a new EP ‘Artificially Alive’.